Google’s new social reporting in Analytics rolled out recently and many site owners are pleased to have data that tracks social media ROI integrated right into the analytics they use every day. With six new reporting functions, there’s lots of ways you can assess the value of social media in conversions, the value individual social networks have and how your content is shared across networks. In this post, we’ll hone in on the Pages report and how you can use it to track content performance across social networks and grow community. This short-and-sweet post is a prelude to a more in-depth look at the new social reporting in Google Analytics in our SEO Newsletter, set to hit inboxes this week. But because we love you, we’ll give you access to the Analytics article a little early. To get started in Google’s new social reporting, go to Traffic Sources > Social. You’ll then see the six reports available to you underneath the main navigation. Let’s get started, shall we? Under Social > Pages, you’ll see a table with your top-performing content for any given time period. If you select a URL, it drills down into which social networks that particular content is driving traffic from. You can see visits, pageviews, average time per visit and pages per visit per social network. Not only can this give you an idea of how that content performed across social networks, but which social network is driving the most traffic to your site and the behavior of the different audiences and how they interact with that Web page and the rest of your site when coming from varying social networks. Social activities are defined as what types of actions occurred on that content – were they comments? +1s? Bookmarks? Do people tend to save the content to read it later or share it? Does some content receive more comments than other types of content? You can find all that information here. Keep in mind, this data is only available from what Google dubs “Social Data Hub” partners. These are social networks (about 20 of them currently) that have opted to share additional information about their activity streams with Google. Google Plus is obviously on this list. Twitter, LinkedIn and Facebook are obviously not. Boo. So, are you on Google Plus yet? Are any of these people in your circles? How can you reach out to them if not? How will you join in on the conversation you’re missing about your own content? The Activity Stream offers many opportunities to expand and build community. The Pages report also can uncover some very interesting data about the social networks you may want to pay more or less attention to. If lots of people are sharing your content in a social network you may have been neglecting, perhaps it’s time to give it some attention. You might have to take a look to see if your Web pages are set up for easy social sharing in those networks. You may want to have a look at if certain topics spark engagement in certain social networks to understand what those audiences are interested in. 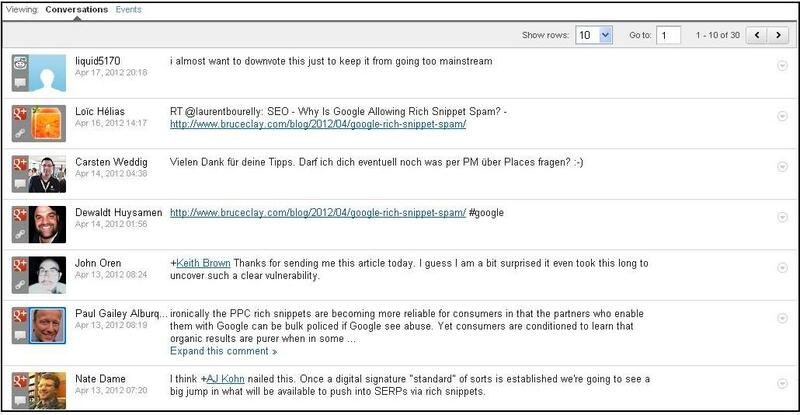 Are you using Google’s new social reports in Analytics? How do you like them? Leave a comment below and tell us about it! @Nick: Thanks for your comment! @Wasim: Thank you for the comment! @Andy: You are welcome, nice to hear from you! @Wayne: I agree that it’s too bad some of the more detailed activity stream info isn’t available for those networks. It depends on what types of information you’re looking to gather for those. There are lots of free tools out there that offer different types of data. Thanks for your comment and I hope to hear back! Thanks for the informative article Jessica. It’s too bad we can’t get stats on Twitter, LinkedIn and Facebook. What are you folks doing to get more detailed information on activity for those sites? @Ty: Agreed. And I don’t see Twitter, LinkedIn or Facebook participating in some of the more detailed activity-stream sharing in the near future. Thanks for your comment, Ty! This was a great addition by Google. It is a downer that some of these other social networks are not included as part of the social integration, but we can not win them all. Thanks Jessica :-) Nicely explained article – delving deeper in to social stats is becoming more ‘normal’ of late. Great insights, so you can work out where to put most of your efforts on your social media profiles. Thanks Jessica. This is very helpful blog post. I use hootsuite rather than Google Analytics. I think I should try Google Analytics as well. 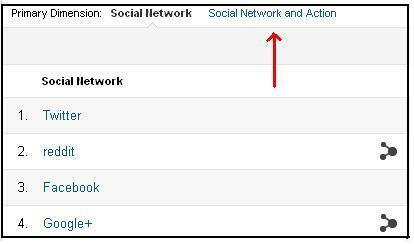 Do you have any blog post on how to setup Google Analytics Social Report? There’s lots of helpful information in the report. It’s easy to spend a lot of time in social media. Knowing where your actual traffic is coming from can help you spend that time more wisely. It’s no longer just a guessing game. Google analytics is a really wonderful tool. The best thing I like about as a newbie is that it shows REAL-TIME statistics. You’re welcome! There’s lots of great data to draw from. Thanks for your comment and let us know if you find any cool ways to use the reports. Thanks for the intro, I’ve been waiting for Google Analytics to come out w/ a tool to track Social Media ROI, etc in more depth. I personally haven’t used the tool yet, but I’m looking forward to playing around with it over the next few days.